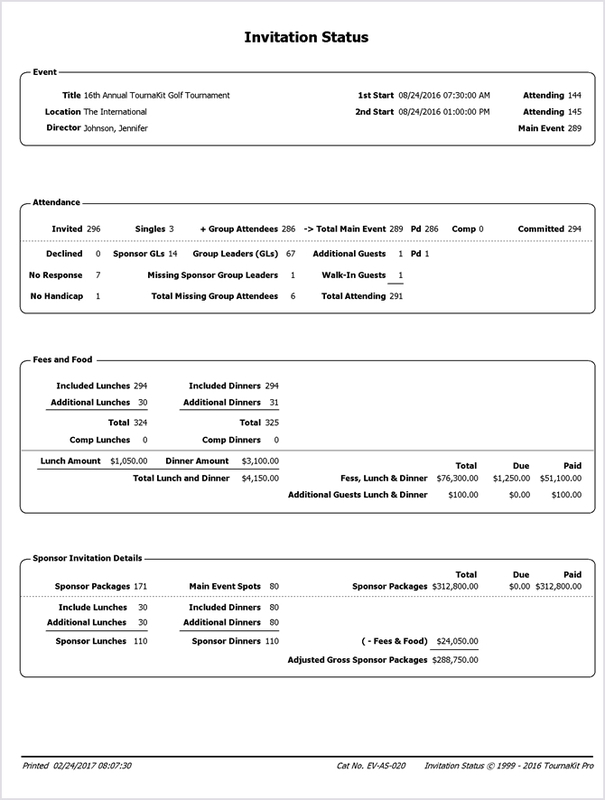 The first lesson learned on "How to plan a charity golf tournament" is to have all your golfer's information organized and available for the golf tournament registration check-in. 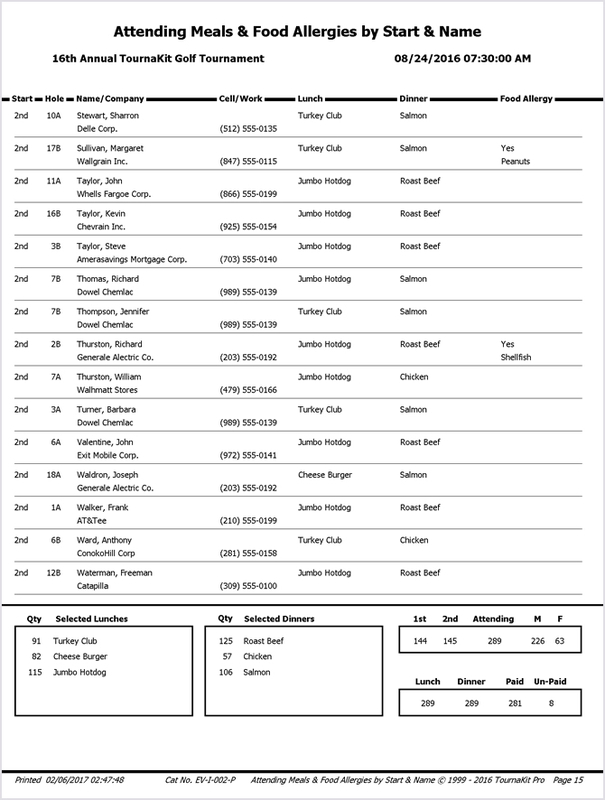 The TournaKit Pro - Invited Reports menu provides quick and easy access to 21 different Golf Registration Check-In reports, an additional 30 Invited reports, and 44 Excel spreadsheets covering the golfers financial and tournament status. The most popular format for a charity golf tournament is the four man scramble. 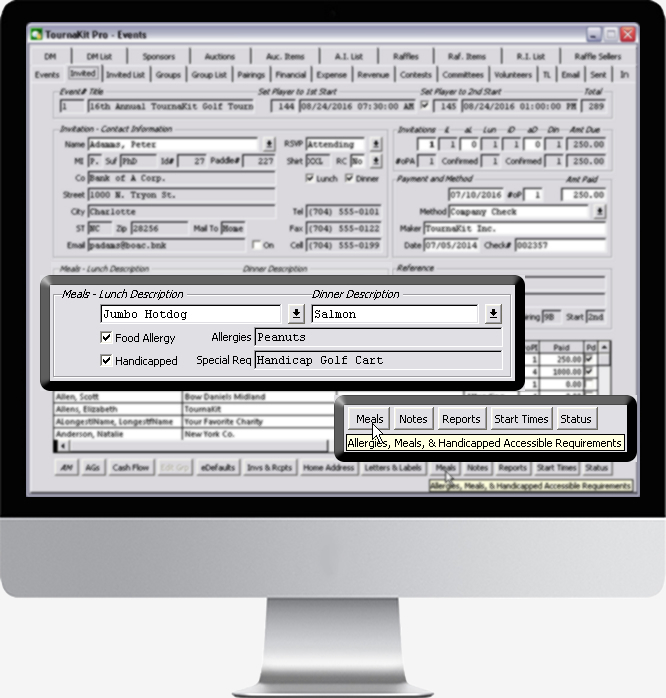 TournaKit Pro makes it simple to create golf teams and calculate the team handicap. 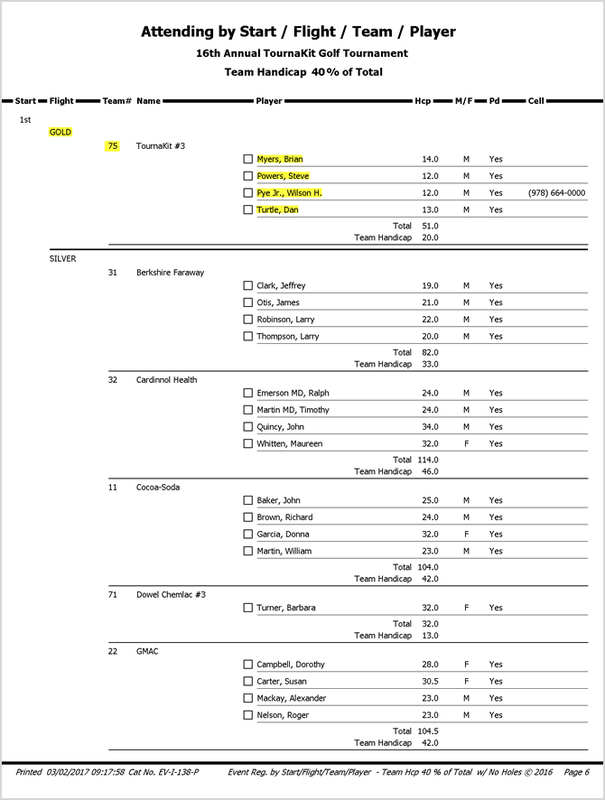 TournaKit Pro provides two methods for calculating the golf team handicaps, the first is a percent of the average handicap and second is a percent of the players total handicap. Below is an example of 40 percent of the players total handicap. It is customary for the charity golf tournament organizer to gift attending golfers with a 'Goodie Bag'. 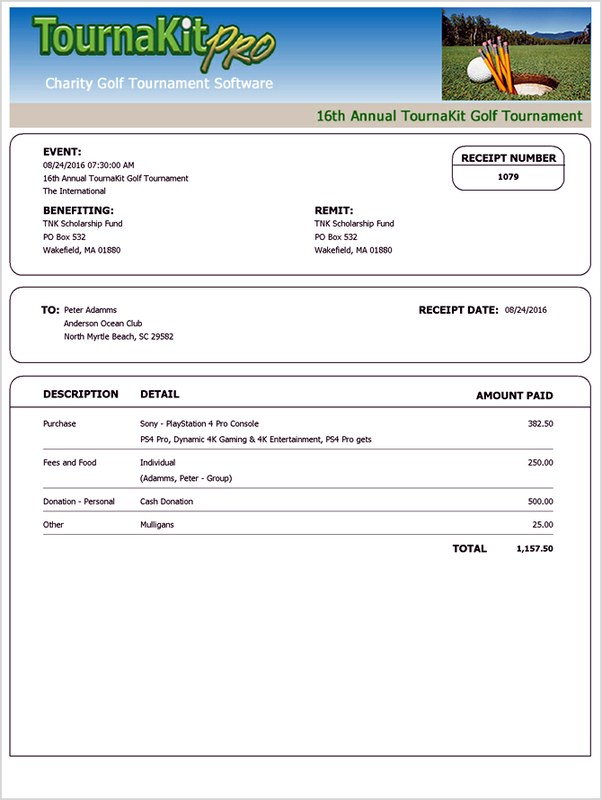 For charity golf tournaments that are putting more than a sleeve of golf balls and bag of tees in the 'Goodie Bag', TournaKit Pro will maintain golfer specific information on golf glove, golf shoe, and golf shirt sizes. 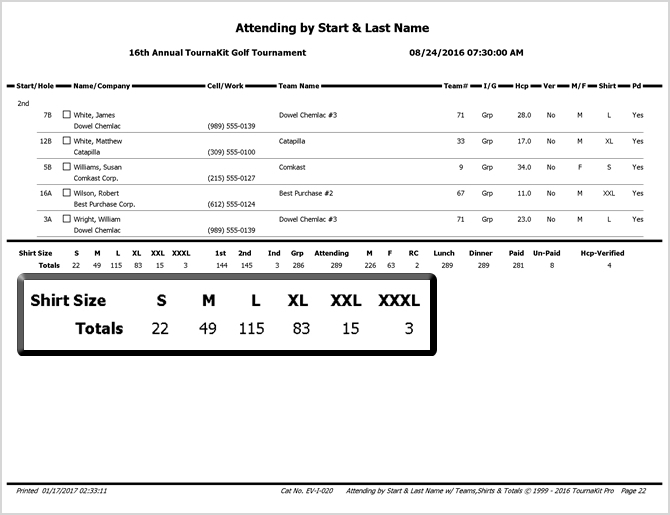 Below is an example of an "Attending Golf Tournament" report with shirt sizes and totals. Easily keep track of lunch and dinner choices, food allergies, and handicap special requirements. 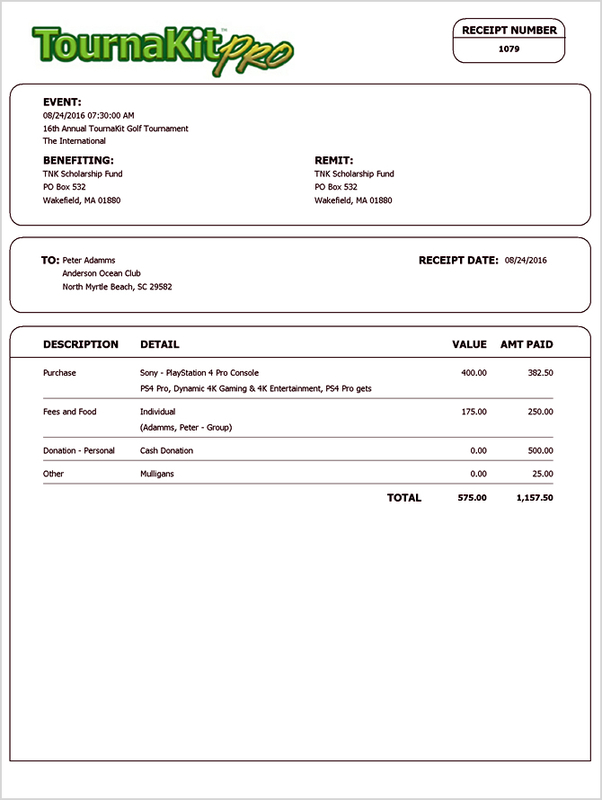 Record payment and method of payment for individuals playing in your charity golf tournament. 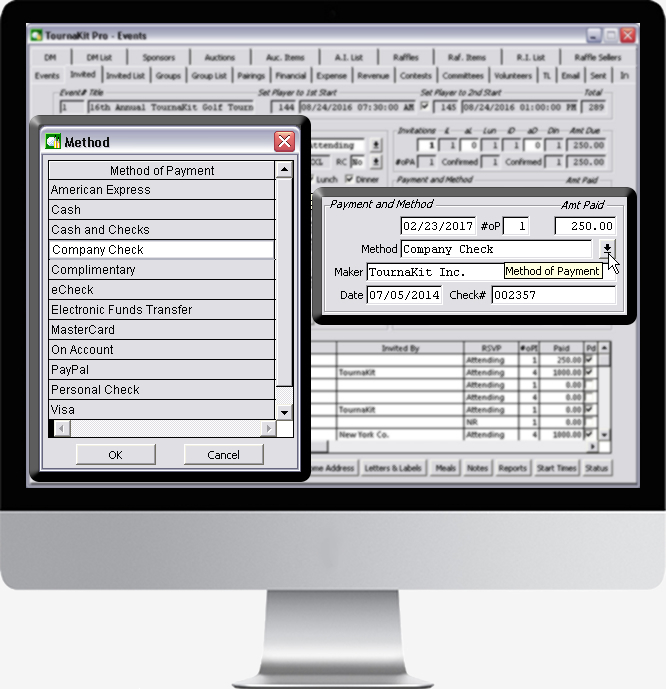 TournaKit Pro provides twelve methods of payment including 'Complimentary'. With TournaKit Pro Charity Golf Tournament Software invoices and receipts are a click away. 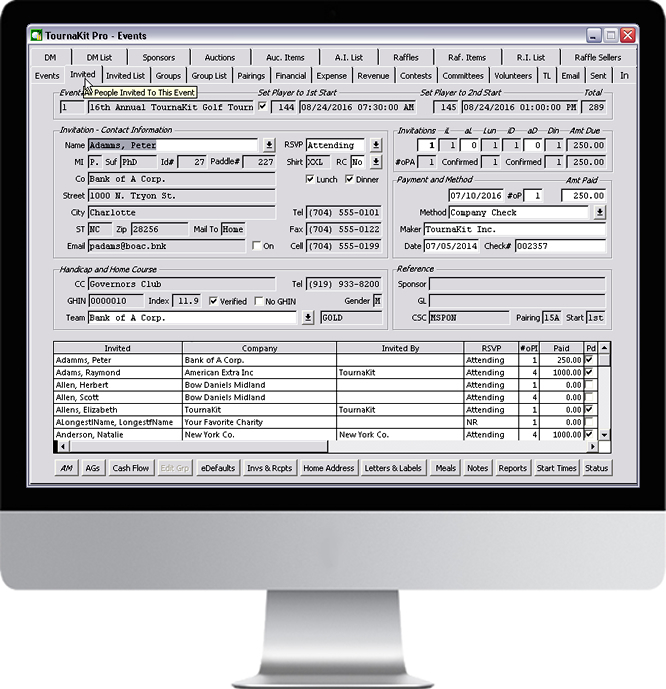 All TournaKit Pro receipts have the option of printing with or without the market value received. 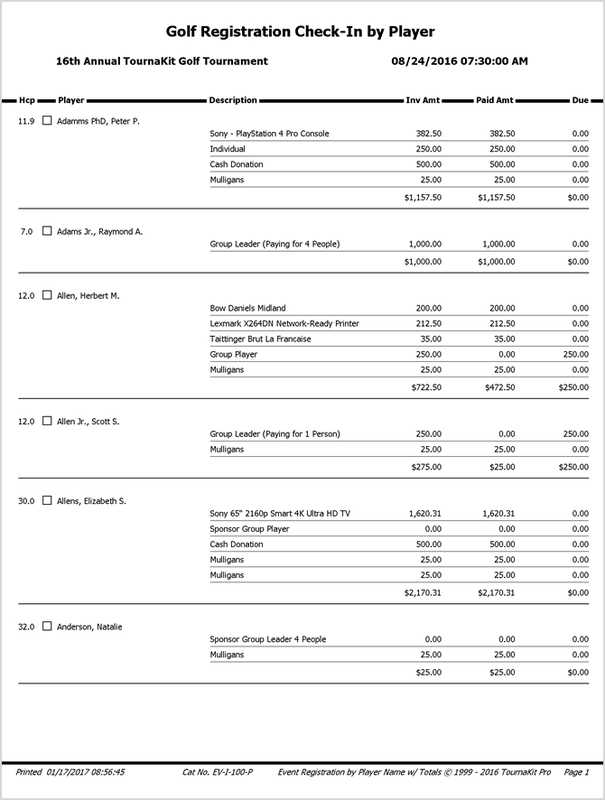 Below is an example of a TournaKit Pro generated receipt without the market value received. As tournament data is entered TournaKit Pro automatically updates the Charity Golf Tournament Invitation Status. 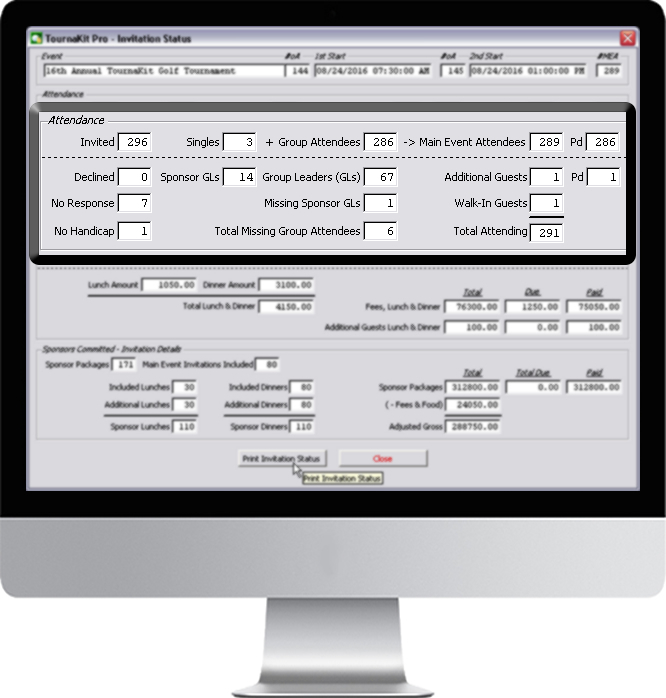 The 'Invitation Status' provides time sensitive statistics and financial totals that are needed coordinate with the golf course, catering, vendors, golf committee, volunteers etc.